On March 6th it was 1 year since I left Korea. It doesn't feel like a year because I was traveling for most of 2016 after I left and visited Korea twice during that time. But it really has been a year since my life there ended. I can't believe it. Sometimes I miss my life there so much, but I know even if I went back it wouldn't be the same. It's not my whole life there that I miss, it's more like I miss my first 2 years there... when everything was new and exciting. At some point, during my 3rd year I think, it just started to become my normal life. By my last year there my life was pretty boring. I still liked living there, but it wasn't exciting like it used to be. I didn't feel I was gaining much more by staying there, and I was getting sick of only being able to plan my life 1 year at a time since my visa and job contract had to be renewed each year. I miss it, but I always knew it would end. One of the really hard things to deal with now is that I cannot travel as easily as I could when I was there. Being a teacher I was always able to travel during winter and summer breaks. And all of Asia was very cheap and easy to get to. I'm saving money now for a trip sometime in the future, to Korean and Japan, but I really don't know when it will be. Monday November 28th my life abroad ended. 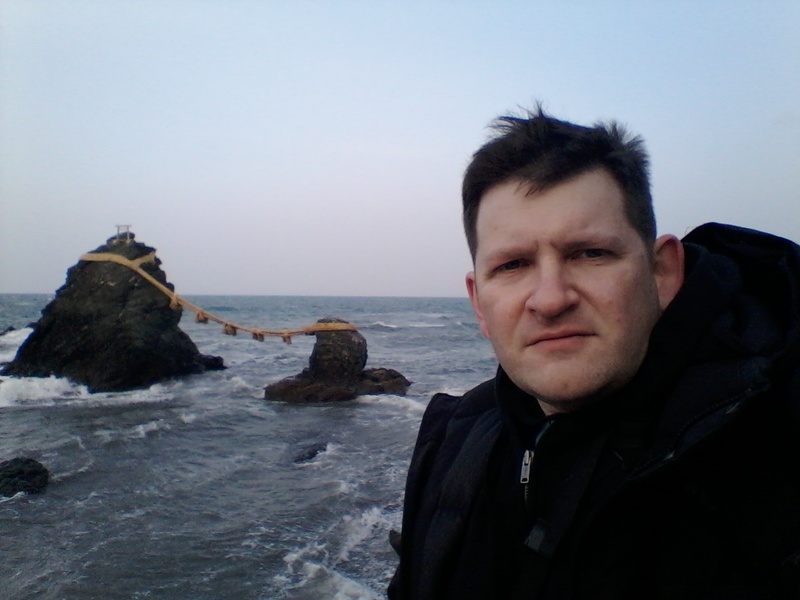 In March I stopped teaching in Korea. Went back to the US, traveled a bit there, then mid April I went to Spain to start my trip around the world. I went to 10 countries: Spain, Portugal, Morocco, Turkey, United Arab Emirates, Thailand, Myanmar, Taiwan, Japan, and Korea. That trip ended Monday. By Friday I had started working again, making jewelry at my friends jewelry store in Iowa. I wanted some more time before I started working, but I'm glad I have a job. Being back I feel....awful. I enjoyed my life in Korea, and my life while I was traveling. And now my life is so different. I feel like I woke up from a nice dream and now I'm in Iowa and all my friends, and the rest of the world are a million miles away. I'm going to Malaysia on Saturday till August 16. I chose Malaysia for my summer vacation just because I've never been there before. This week the students have midterms so I have a lot of free time at school. I like it. I try to do something productive while I am here. I usually study Korean, and this week I started editing my photos from my trip to Japan in February. Tomorrow I'll go to Taiwan till May 6th. About 2 weeks ago I found out I would have May 1st-6th off, so I decided I should go some place. If I was in the US and had 6 days off I probably wouldn't go anywhere. But while I'm in Korea it's so easy to travel to another country I want to travel every opportunity I have. The school year is going fine so far. And since we are using the same books as last year lesson planning is much easier because I am mostly able to use the lesson plans from last year. This is supposed to be my last year in Korea and it's really making me feel pressured. I mostly feel pressure to improve my Korean as much as possible. I have been here four years and I am really disappointed in my speaking ability. I'm also feeling pressure to learn CAD better and make a good portfolio. I have made a lot of designs with CAD, but I'm not confident that I am making good ones. In February I went to Japan from the 14th till the 24th. I spent the whole time in the Kansai area. I traveled around a lot. I went to Osaka, Kyoto, Horyu-ji in Nara Prefecture, Ise Jingu in Mie Prefecture, Hiei-zan in Shiga Prefecture, Koya-san in Wakayama Prefecture, and a few other places. It was a really good trip. Yesterday was the last day of classes. I still had to come to school today, but I didn't have to do any work. Tomorrow I will go to school then go to the hospital for my medical check, which I need every year for my visa. Saturday I will go to Japan. I was in the US Jan 20th - 30th. I got back to Korea Sunday morning around 5:00 am and was home by about 8:30am. I flew from Chicago to Hong Kong, spent a few hours at the airport, then flew to Seoul. Whole thing was about 24 hours of travel, not including the time going to and from the airports. I didn't sleep well during any of that time, so when I got home Sunday morning I spent most of the day sleeping. My trip wasn't very good. I never really got over my jet lag and I didn't have much time to just relax. I was too busy meeting friends, shopping and doing some other things I wanted to do while I was there. I brought two 50 lb suit cases full of things I don't need back to the US, but looking at my apartment it still seems pretty full. Today I'm at school and don't have much to do here. Tomorrow classes start. We will have 2 weeks of classes then more vacation time before the 2015 school year starts.